We’ve seen some stunning “Lip Sync Battles” on The Tonight Show Starring Jimmy Fallon before, but none have been quite so stacked with comedians as last night’s telecast. During the special post-Super Bowl episode of The Tonight Show on NBC both Will Ferrell and Kevin Hart popped up to show off their impressive lip syncing skills. Give the impressive (and lengthy) battle a watch, below. Will Ferrell is the most veteran comedian of the gang. The former Saturday Night Live star opened up the evening with “Drunk in Love” by Beyoncé. It’s one of the famous singer’s more recent hits, and Ferrell goes all out for the bit, dancing on the floor and making wild faces. Then, Fallon goes, singing “Since U Been Gone," the “great pop anthem” initially performed by Kelly Clarkson. That performance is pretty good, as Fallon was even sure to bring his own little trinket to longingly look at while singing about his former girl. 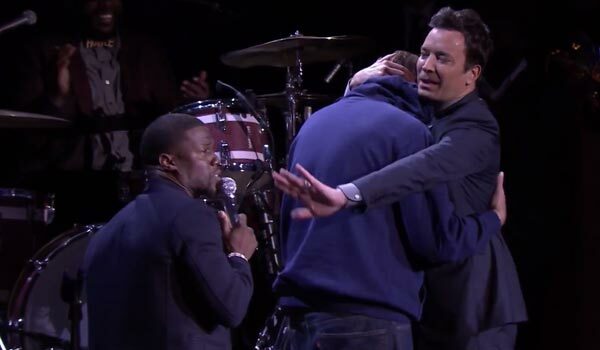 After Fallon goes, Kevin Hart steps up to the mike… and is too short to reach it. He plays it off pretty well, and ends up doing “Give My All to You” by John Legend. It’s a pretty emotive performance, and he ends up singing to Will Ferrell, even doing a cutesy give and take emotional performance involving a slap. The whole thing is pretty fantastic. Later in the video, Ferrell sings let it go and gets in an appropriate Adele Dazeem joke. Hart pays homage to the Super Bowl halftime show by playing Katy Perry’s “Roar,” and Fallon busts out “I’ve Had The Time Of My Life,” from the Dirty Dancing Soundtrack, pulling out Drew Barrymore to complete the complex dance moves. He even rips his pants during the process. 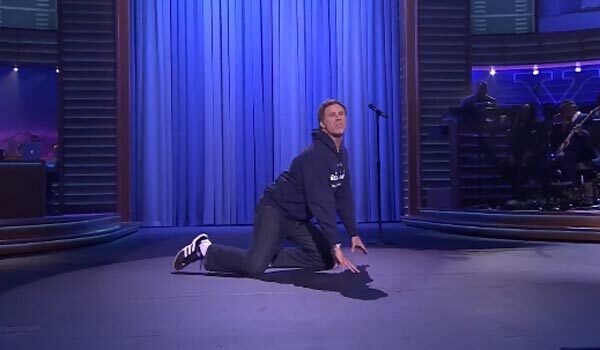 Fallon has done the “Lip Sync Battles” sketch numerous times during his late night series. Notably, he once did a “Battle” with Emma Stone where she blew everyone away by lip syncing “All I Do Is Win” by DJ Khaled. Still, Sunday’s special episode of The Tonight Show was a real winner, and should go a long way to bring promince to the “Lip Sync Battle” TV show Fallon currently has in the works with Spike TV. You can watch new episodes of The Tonight Show Starring Jimmy Fallon on weeknights at 11:35 p.m. ET. As for Ferrell and Hart? You can catch the two comedians’ new movie, Get Hard, when it hits theaters on March 27.